Top financier Amanda Staveley has reportedly enquired about the availability of a possible takeover of Liverpool Football Club. The British businesswoman has made initial soundings, with owners Fenway Sports Group having put a £1billion price-tag on the club, according to the Mirror. Staveley runs PCP Capital Partners and made a joint offer last year for a share of the club with Chinese company Everbright Limited, which was rebuffed by FSG. The 44-year-old’s attendance at Liverpool’s recent 1-1 draw with Newcastle at St James’ Park appears to have fuelled speculation. There remains the possibility, however, that her focus is instead on a potential takeover of the Magpies, with current owner Mike Ashley having made it clear he is open to offers. Staveley’s interest in Liverpool, as reported by the Mirror, stems from her knowledge that Middle East billionaires are keen on investing in a top England team. 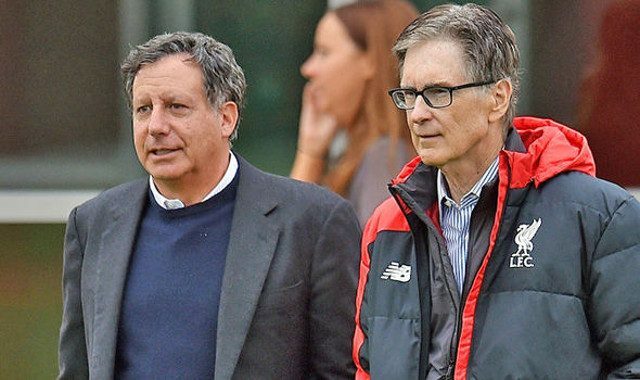 FSG have so far shown few signs to suggest they are at all intent on selling the club, let alone welcome to bids from elsewhere. The American owners have continued to divide Reds supporters over the years with their approach to transfer business, although did restore a lot of faith by keeping hold of Philippe Coutinho during the summer. A quoted price of £1billion seems a little difficult to believe, with FSG likely to be demanding more were they, in fact, open to selling the club. It seems more likely Staveley’s intentions lie closer to Tyneside.